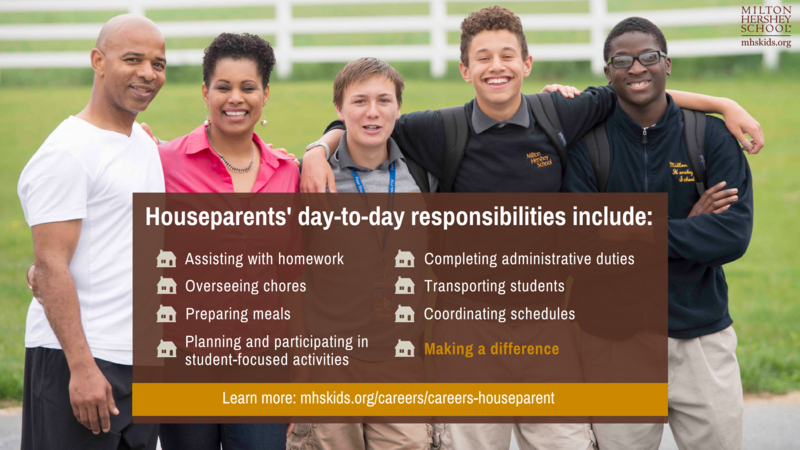 Houseparents at Milton Hershey School significantly impact the lives of our students. MHS has stayed true to the Hersheys’ plans to raise students in an environment that was non-institutional. 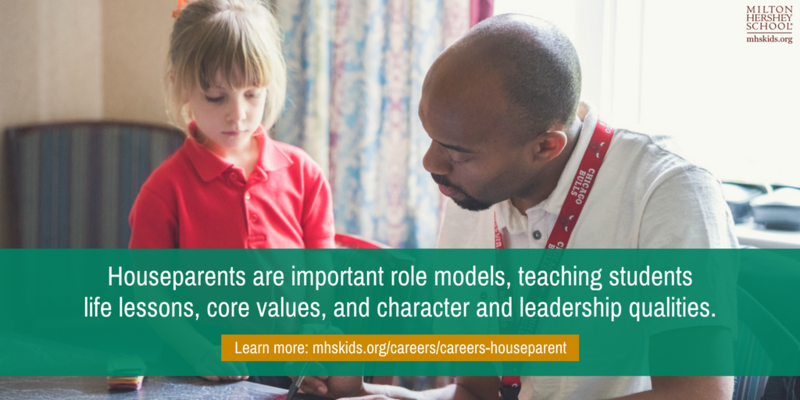 Because houseparents work so closely with students, houseparents are important role models, teaching students life lessons and core values. As a residential school, we truly care for the needs of the whole child, and houseparents play a substantial role in ensuring student success. Our houseparents manage homes of eight to 12 students of the same gender and around the same age. Houseparents nurture students while helping to build character and providing academic support. From assisting with homework to overseeing chores and from preparing meals to playing board games, our houseparents create a family-like atmosphere in their student homes. Houseparents help students prepare for the school day by providing a nutritious breakfast, making sure students are appropriately dressed and ready for school, and seeing students off for the school day. 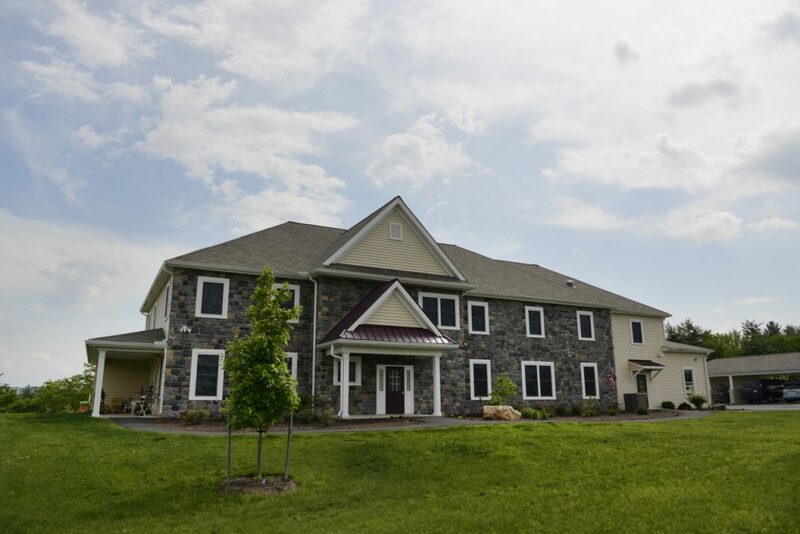 During school hours, houseparents are off duty and free to enjoy the many amenities on campus, such as our walking paths, fitness center, and outdoor swimming pool in the summer months. There also are many conveniences in the town of Hershey. When the school day ends, houseparents coordinate the family meal, answer questions about homework assignments, supervise household chores, and manage student activity schedules. Weekend schedules are less structured, allowing houseparents to lead students in recreational activities. Houseparents may take students to a local cultural event, enjoy an afternoon of crafts, or spend a night at one of our on-campus campsites. Sunday Chapel Service is a requirement for all students and on-duty houseparents. Read houseparenting blogs to see what daily life is like. Thinking about a career as a houseparent? Join the MHS Houseparent Talent Network to learn more about life as a houseparent and whether it’s a good fit for you and your spouse. You’ll receive additional information about Milton Hershey School and hear from current houseparents. Note: Joining the Houseparent Talent Network is NOT an application for employment. To apply, visit the houseparent job description to submit you and your spouse’s application today. The satisfaction of knowing you are shaping lives. Couples earn at least $70,000 annually. Total compensation package includes a rent-free apartment, meals and utilities. Use of athletic facilities (fitness center, ice-skating rink, swimming pools). Working at Milton Hershey School means putting our students first. Our job requirements ensure we provide the best support for their growth – we’re happy to answer your questions, but please note these requirements are not flexible. They help us make sure we have the best people in place to nurture and protect our students. No more than two dependent children in residence. Demonstrated successful experience (paid or volunteer) working with children from socially and economically disadvantaged backgrounds. Able and willing to work in student homes of either gender and any age group (grades PreK – 12). Ability to successfully complete extensive clearance process. Ability to meet health and physical requirements of the position. Driving records and credit history in good standing. Effective communication and language skills necessary. NO PETS are permitted except as otherwise authorized by Milton Hershey School on a case-by-case basis. Contact Clint Barnes at (717) 520-2317 or barnesc@mhs-pa.org. Want to learn more about what current houseparents experience on a daily basis? Several houseparents blog regularly and share insight on the rewards and challenges of their lifestyle.